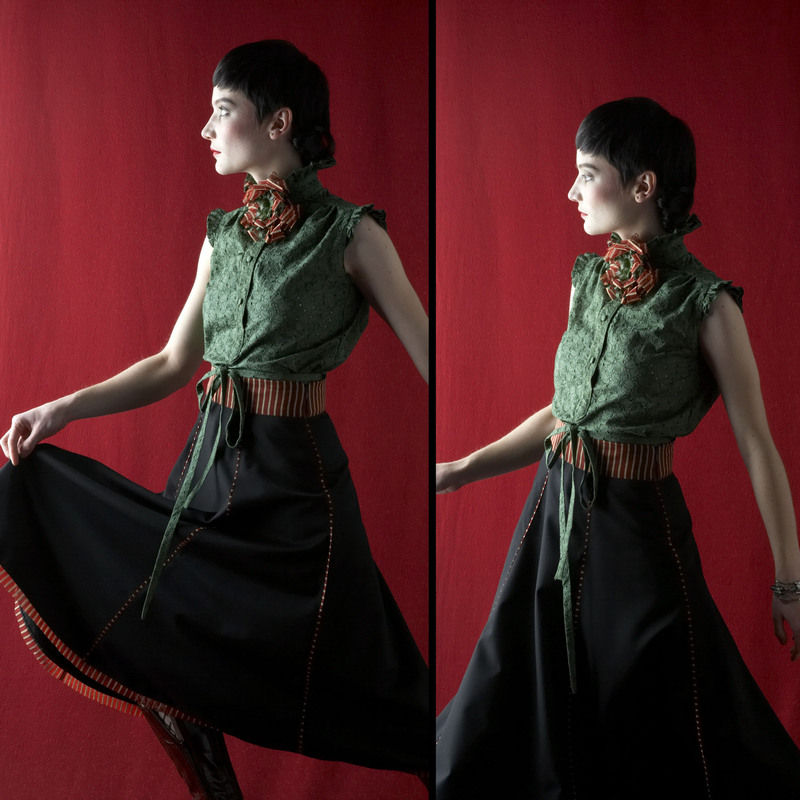 Daiana is wearing a very striking Cossack Dancing Skirt. It is reminiscent of Russian elegance and passion. Made from a wool blend contrasted with silk organza, this skirt not only looks divine but is pure luxury. It is teamed with a broderie anglaise Frilled Neck Lizzy Shirt and matching rosette. This is a personal favourite of mine. A real showstopper! !